DeAndre Hunter, Charles Brown & Sean Colson: It’s that Philly Pride! Philly is a hoops mecca… For some, Philly is THE hoops mecca… The case for the top spot is strong. 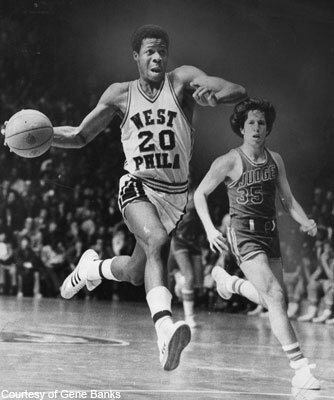 A brief perusal of the record books reveals the impact Philly ballers have had on the game. 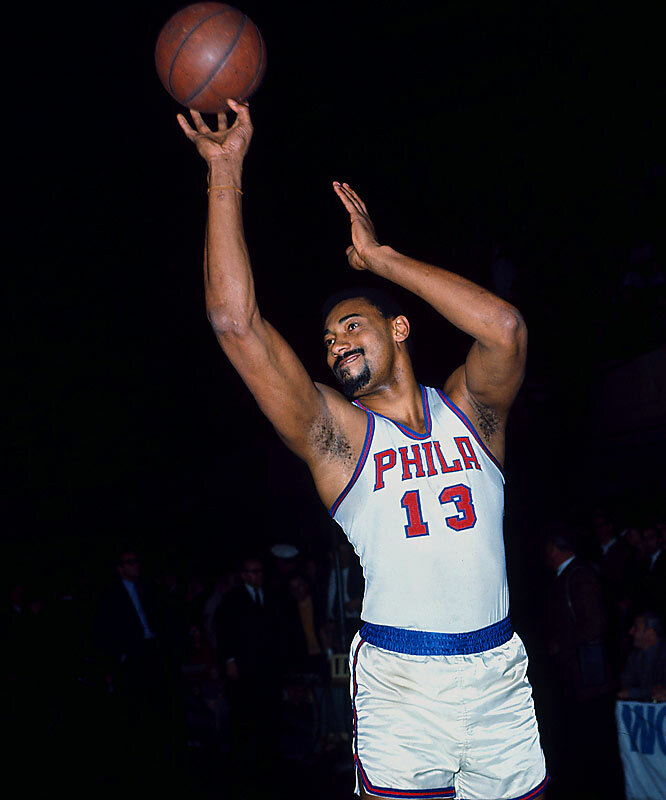 Wilt Chamberlain and Tom Gola led the charge for Philly in the 50’s. Earl “The Pearl” Monroe scorched college basketball in the 60’s. Gene Banks, Lewis Lloyd and Mike Brooks carried the city in the 70’s. Rico Washington, Pooh Richardson and Lionel Simmons held it down in in the 80’s. Rasheed Wallace, Marvin O’Connor and Eddie Griffin represented in the 90’s. After the turn of the century, Maureece Rice, Wayne Ellington, Maalik Wayns and Kyle Lowry emerged. If you want to know what’s going on with elite scholastic hoops, you have to follow AAU/grassroots hoops. 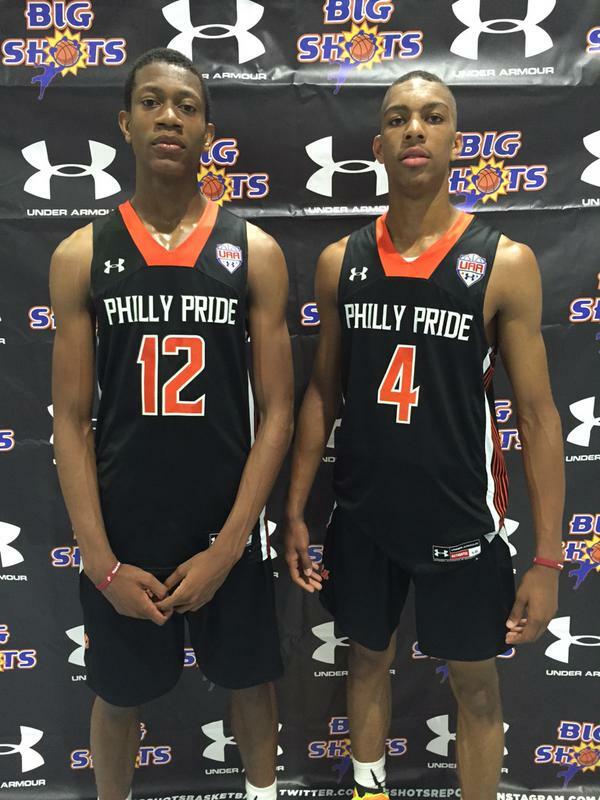 Perhaps, the biggest story of this summer has been the rapid ascent of two Philly Pride (Under Armour Association) players, Charles Brown, Jr. and DeAndre Hunter. At the conclusion of his high school career at George Washington HS, Brown had zero (0) Division 1 scholarship offers. In fact, he had verbally committed to Division 2 West Chester University. After the first two Under Armour sessions, he had over 15 D1 scholarship offers from schools such as VCU, Rhode Island Quinnipiac, George Mason, Drexel and James Madison. He was drawing interest from high major programs like Oklahoma State, Arizona State, Wisconsin, Maryland and Alabama. Brown committed to St. Joseph’s University. He cites his relationship with Assistant Coach Geoff Arnold as the primary factor determining his choice. 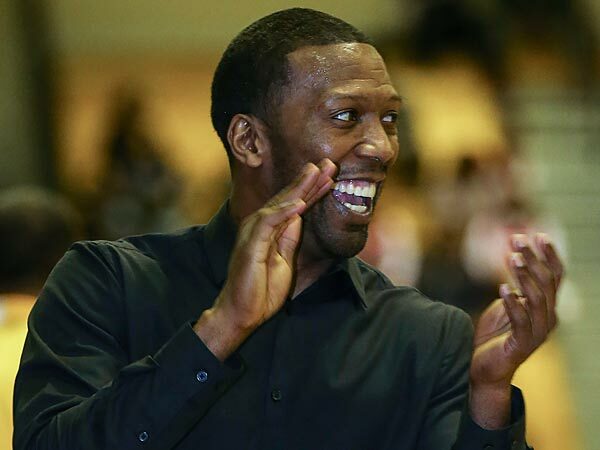 According to Brown, “Coach Arnold told me when he first saw me that I was a division 1 basketball player and that meant a lot to me at the time.” His father Charles, Sr. played on the great Overbrook teams of the late 70’s with Tony Costner, Ricky Tucker and Steve Black. So, the family has always been familiar with the St. Joseph’s program and the campus. The Black Cager talked to Charles’ Philly Pride teammate and his Coach Sean Colson to gain some insight into this particular program…. Black Cager: DeAndre… So far this summer you guys have had a really good run. About a month ago you knocked off highly regarded WE R 1 and about two weeks ago you defeated Team Final. I want get your thoughts about the AAU season thus far and see how you feel about those two wins in particular. DeAndre Hunter: I feel like we’ve been playing really good. Beating those two teams, that are supposedly better than us, shows that we are just as good or even better than most of the teams in the country. Black Cager: I agree… I agree with that and I would also add that when you take a look at what the local Under Armour teams have been able to accomplish it’s very impressive. Trevon Duval, Quade Green, Sedee Keita and Nysier Brooks who recently committed to Cincinnati (Big East) play for WE R 1. Then you also have you and Charles Brown who recently committed to St. Joseph’s (A10) playing for Philly Pride. One could argue that the Under Armour circuit, at least in our region, is equal to or ahead of the Nike and Adidas circuits. How do you feel about playing on the Under Armour circuit? DeAndre Hunter: I feel like the Under Armour circuit is just as competitive as any other circuit. I understand the Nike people feel like their circuit is better because they have most talented or most ranked players. But, I really feel like the Under Armour circuit is just as competitive as any other brand. Black Cager: About your college recruiting… How are your grades? I know you attend a highly competitive academic high school, Friends Central. How are making out academically? Are you on track? DeAndre Hunter: Yeah… I’m good. On my last report card, I had one C. The rest of my grades were Bs and up so I’m in good shape. Black Cager: That’s really good… Have you formulated any idea where you would like to play college basketball? Do you want to stay in Philly? Do you want to go far away? Does the geographic region matter at all? Are your trying avoid the cold? Do you want go where it’s warm year-round? Do you have a strategy or are you just taking things as they come? DeAndre Hunter: I’m just taking it as it comes. It doesn’t matter if I stay local or go somewhere far away. I just want find a program where I’m comfortable and I can play right away. Black Cager: Where do you see yourself playing at the college level, 2, 3 or even the 4? DeAndre Hunter: Probably the 3 position… I gotta get bigger and strong though. Black Cager: Now… I’m gonna really put you on the spot.. Who do you think are the best non-college or pro basketball players in the Greater Philadelphia region? I’ve had an on-going discussion with some of my friends in the local basketball community and the same names always come up are Tony Carr (Team Final/Roman Catholic HS), Quade Green (WE R 1/Neumann Goretti HS), Lamar Stevens (Team Final/Roman Catholic HS) and you. Although, recently a lot of people have started to include Charles Brown in that upper echelon of local talent. Who would say are the best 2 or 3 players in the area right now? DeAndre Hunter: Best players? In my class, yes… Me, Charlie and Tone Carr..
Black Cager: I like that… I really appreciate the honest response… One last question, as you sort through this college selection process, are you dealing with this yourself? Are you bouncing things off Kamal, your HS coach, your Mom? If a college coach was reading this interview and he wanted to get your attention, what would be best way for him to go about it? DeAndre Hunter: He should call me, my brother, Kamal or my AAU coach (Sean Colson). Black Cager: DeAndre… I really appreciate this and I look forward to following you guys in Atlanta as you pursue the UUA National Championship. Black Cager: What’s up Sean? I just talked to DeAndre… I talked to Charles Brown a few days ago… I’m gonna put you on the spot… I know about a month ago, you guys knocked off WE R 1 and couple of weeks ago you beat Team Final. In the Philly grassroots basketball, those are some big games and they were some big wins. What does that say about Philly Pride as an AAU/grassroots program right now? Sean Colson: Well… for the last three years, not just this year I’ve been with this team… I coached them as 15u, 16u and now 17u and we’ve gotten better every year. So, we are just trying to build our program and make competitive on the national level. We are not really comparing ourselves to nobody else, we’re just trying to beat everybody we play… Everybody… WE R 1 and Team Final are really good programs… But we not trying be the best program in this area, we want to be the best in the country. We are trying to put our guys in position to get a lot of scholarships. We want to help them get to the right schools. We want people to know that when you play for Philly Pride you get better. In other programs, some guys get scholarships, but they don’t necessarily get better. We want to be known as a program where when you come here… Your game gets better and you get better as a young person. Black Cager: I can appreciate that… Speaking of getting better, I would say that over the past 2 months people knew about DeAndre but lately he’s been getting a lot of national recognition. And, then you have Charles Brown… About 3 months ago people viewed him as a Division 2 player. Then there was a period where he was one of the hottest kids in the country. His recruitment went from 0 offers to over 15 scholarships in a matter of weeks. What does that say about his development and why was he able to demonstrate so much more skill playing for you guys than he did playing for his high school team? Sean Colson: Sometimes I feel like people try to make that comparison… But, I feel like the George Washington coaches did right by Charles. I just feel like Charles has gotten better… I don’t feel like it’s fair to say the George Washington guys didn’t know how to use him or use his talents. I just think they got eliminated early. In fact, in February we (Martin L. King HS) took them out of the playoffs. Right after the season, Charles and his Dad came to work with me. That was in February. He’s been in here every day, just working. His father was very direct, he said look I think my son can get better and I think you are the guy to do it. I know you work with DeAndre, I know you work with a lot of people… But, can you just please take my son and do what you can with him. Charles has the right mindset… I mean he just came in here and worked… His skills have really developed because he’s been working. Looking back, some of the blame has to be placed on Charles. Maybe he wasn’t working as hard while he was in high school. Now, he’s really working hard. Yes, I demand it, but he’s really working hard. Getting to play everyday against DeAndre and some of the college guys has helped him. A lot of times it’s just me him, his Dad and DeAndre just working, working, working… I mean I was a pretty good player… I played in the NBA and I was a good player and I feel like my skills and just the knowledge of the game has rubbed off on Charlie. All of that has really helped his game take flight right now. Black Cager: He’s gonna take a year and try to get his body together at St. Thomas More Prep School (Connecticut). What do you foresee for Charles playing in the Big 5 for St. Joseph’s? Sean Colson: I think he’s gonna have an excellent career. Charlie… is.. honestly, he kinda like a steal to be honest with you. Because, he’s really developing. He has the frame of a pro 2 guard. Everyone doesn’t have the skills, but he definitely has the frame. He’s 6’6”, athletic, long arms, really can shoot the ball and plays defense. Even that part of his game, I don;t think he did a great job at Washington on defense. They played zone a lot the time. When he played man-to-man I don’t think he really cared. But, when he came here, I’m on him every single day about defense in the workouts, practices and games. Charlie has really taken pride in being a stopper. He wants to be a stopper. I don;t think he thought like that in high school. That’s an area where I will take some credit because we’ve really worked on that part of his game. But, I don;t want to discredit George Washington and their coaches because I don’t think it the case that they didn’t do enough. It’s just that me Charlie click… Just like me and DeAndre, we click… A lot of guys, they will listen to me where they might not listen to other people or take their advice. They know the things I’ve accomplished as a player and coach. They respect the players I’ve trained like Amile Jefferson and Khalif Wyatt. They see that if you train with me you get better. That’s an important part of it, we have good chemistry. Black Cager: I think trust is an important part of the equation and that’s what you are conveying. Speaking of DeAndre, I’ve gotten to see him play quite few times this summer. It’s really hard for me to look at his game and say that another kid in this area is better. But he doesn’t get that recognition. A big part of it is that is probably because he plays in the Friends League. Where do you see him in comparison to the other top players in South Jersey, Philly, Delaware? And. what do you see for him at the next level? Black Cager: I followed your career… Me and you we communicate on social media a lil’ bit… I pay attention… I saw you finishing up you own academic course load. I know you are doing an outstanding job at the high school level. I know you are of the few guys that excel on both the HS level and on the AAU/grassroot circuit. What’s the future look like for Sean Colson? Would like like to get on an NBA coaching staff? Would you like to coach in college? What are you trying to do with this thing going forward? Sean Colson: For me… I wanna build Martin L. King up. We’re good right now. In my three years, we’ve won Public League Championships, we’ve been to the State Championship game. These are things that have never been done at King, especially on a AAAA level at this school. So, we’re just trying to get guys to get to college. We want guys to get D1 or D2 scholarships. For me, that’s the joy that I have. I love to see everybody getting better. Through the Sean Colson workouts, I get to work with kids that go to all the different schools. Even though they are in different HS programs they still come to me to get better. I’ll take whatever is in store for me. I would like to be a college coach. Maybe I’ll be an NBA assistant or scout. I really like working kids out. I was just at the John Lucas camp working guys out and training some really good players there. Next week I’ll be at the Under Armour All-American camp. I love working people out, developing talent and getting guys better. That’s kinda what I am known for. But… I feel like I’m a strong X and O guy as well. I really like coaching. For me, I’ll take whatever falls in my lap. I’m just working. If it’s an NBA assistant job that would be great. If it’s joining a college staff that would be great. If it’s taking Sean Colson workouts to the next level where it’s national like John Lucas, that would be great. Luckily, I feel like I’m doing well and I have a few options. I’m not just a one trick pony. Whatever I think is best for Sean Colson and my family that’s what I’m gonna pursue. But right now, I feel like I’m getting a lot of blessings and I’m just happy everything is working out. Black Cager: I just want say that Philadelphia’s basketball community is much better off having you as involved as you have been over the last three years. I have a lot of respect for what you have been able to accomplish. It’s tough at a school like King. The other schools have a lot of things they can use to attract the kids like outstanding academic reputations, locations like Roman Catholic is in Center City and Haverford is up on the Main Line. You are grinding it out right here… around the way in a public school facility. For that I give you a lot of credit. As well as all the work you Kamal Yard, Rodney Veney and Amauro Austin put in with this grassroots thing. Big respect man… we’re looking forward to seeing how Philly Pride does in the nationals. You ready to go on record? Y’all gonna take this thing from WE R 1 or what? Sean Colson: Well… It’s not just about WE R 1… I know they are in 1st place and we are in 2nd place but they are a lot of good teams in the Under Armour Association. We’re trying to go down there and do well. But first, we have couple other things going on… Like I said we have the Under Armour camp. 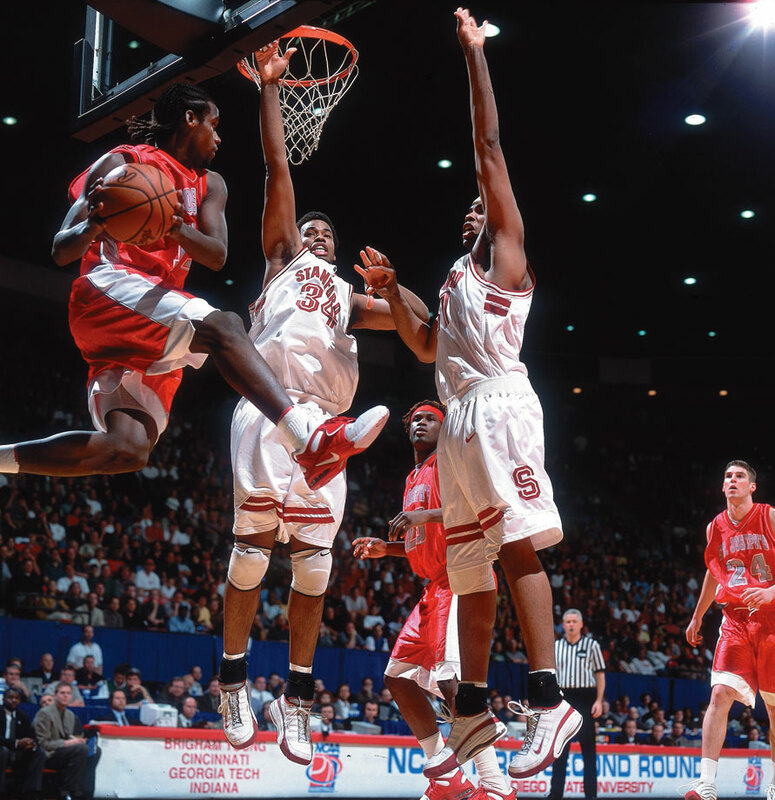 DeAndre’s in it… Charlie might be in it… Then we have Elevate Hoops at Philly U which is gonna be a big event. Then we go to Atlanta and then to Las Vegas… We’re just taking one step at a time… We gonna try to represent Philly like we always do and try to win it for sure. Black Cager: Appreciate the time and we look forward to following Philly Pride.